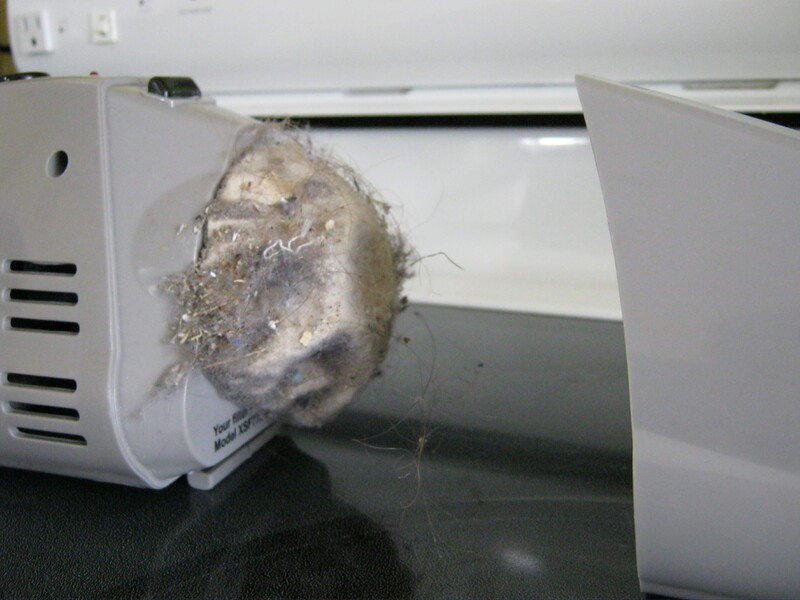 Microfiber stops bedbugs in their tracks! I wonder if wrapping a pillow in a Norwex Microfiber towel would work? Or sleeping on a Norwex towel? That would be fantastic! 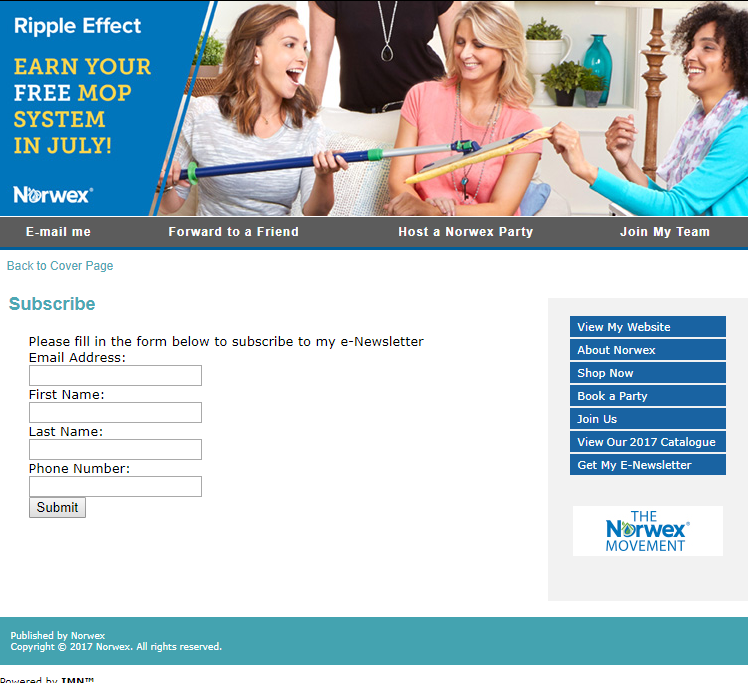 The Norwex Rubber Brush is for brushing off the microfiber dry mop. After you ‘sweep’ with the Norwex Dry mop, there is going to be lots of stuff stuck to the bottom. 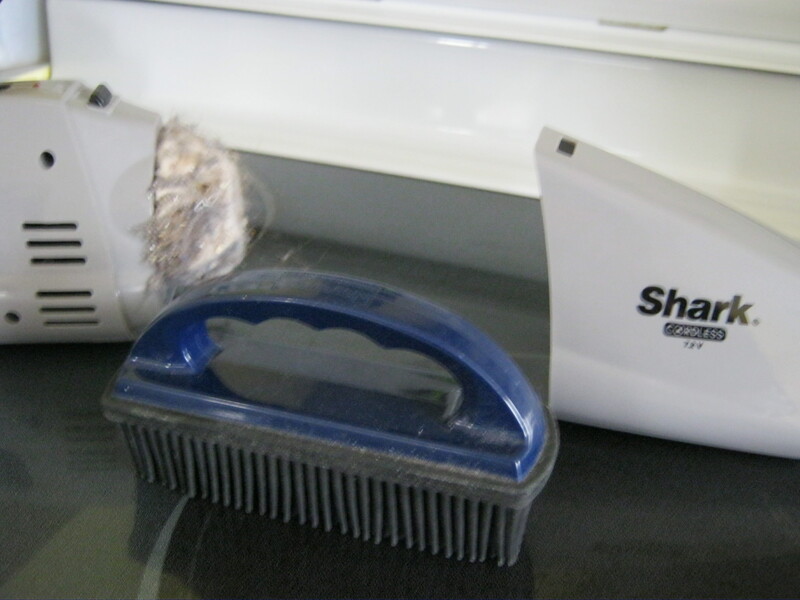 The Rubber Brush will easily remove all the stuff you picked up. Today, I am going to give you another reason to buy the Norwex rubber brush. 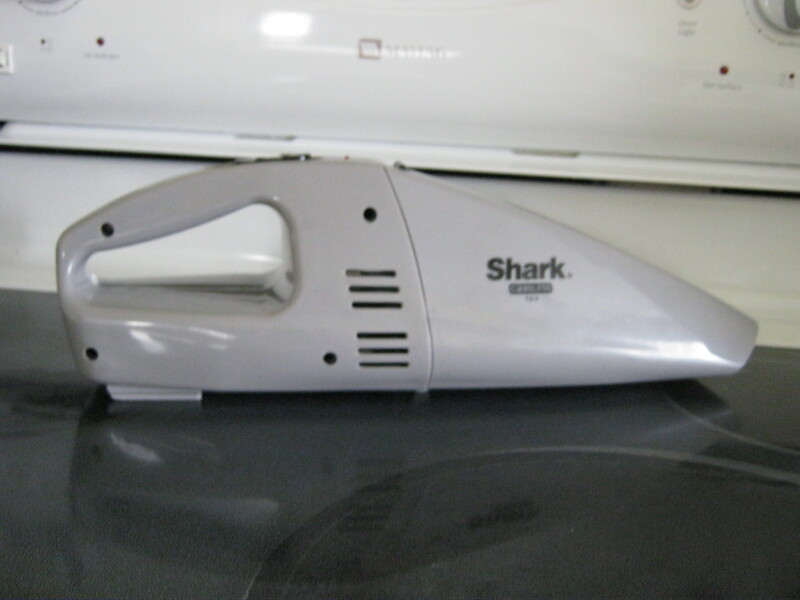 This is my hand held vacuum. 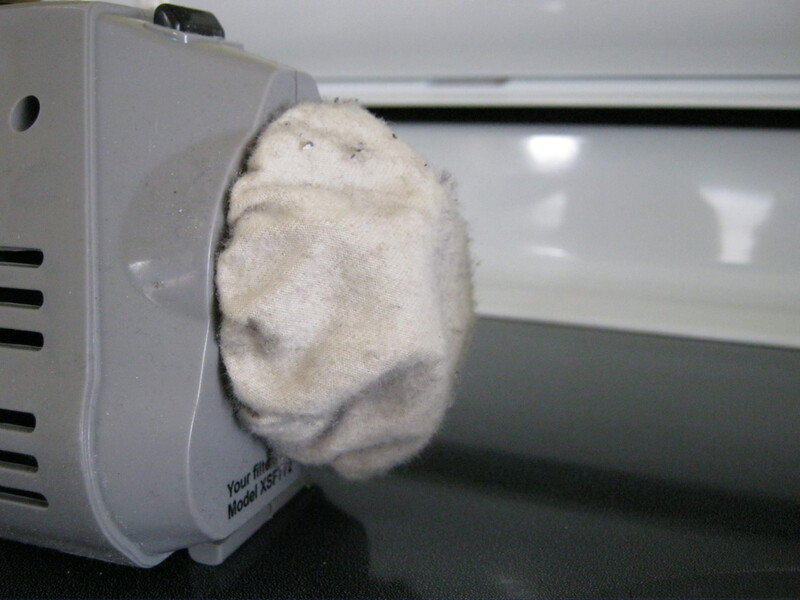 This is the air filter of my hand held vacuum after vacuuming the stairs. This is a close up of the air filter. 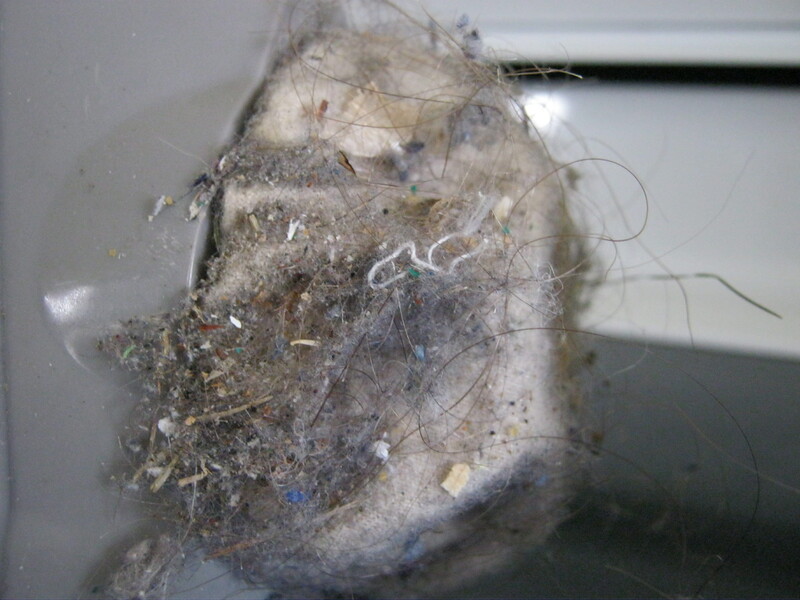 This is the air filter after I brushed it with the Norwex Rubber Brush. Ta Da! The Norwex rubber brush helps me take care of my Norwex mop but it also helps me take care of my vacuum too. I love finding additional and alternative uses for Norwex Products. My latest find was when my husband placed his lunch dishes on the counter. He had taken some leftovers to work for lunch. That was Friday. He put the dishes on the counter Monday morning. Can you say multiply? I went to open them to wash them. Mistake! Whew! Stinky! That’s where the Norwex Fresh Wash comes in. 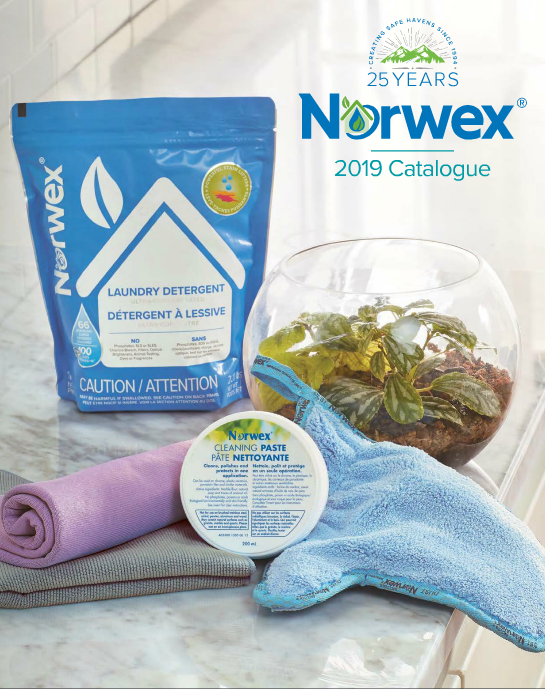 Norwex Fresh Wash breaks down bacterial biofilm on fruits and vegetables. I figured, why not try the Fresh Wash on the stinky bacteria laden lunch dish and see what happens? Well it worked! The foul stink of Friday’s leftovers disappeared and I was able to wash and reuse the dish. Another Norwex success story! I’ve found another great use for the Norwex micropad. Do you have school children? Do they use those white plastic lined lunch bags? That plastic lining can get kind of disgusting! Norwex Micropad to the rescue! Wipe out the big chunks with the envirocloth. Take the wet micropad and start scrubbing that plastic. Voila! Nice, clean and white. No odors, and looks clean enough for food! So there you go – how to clean the white plastic lunch bags effectively – clean with an Envirocloth and a micropad.